The Middleweight clash between Gabriel Rosado and Maciej Sulecki on Friday night (March 15) at the Liacouras Center, Philadelphia live on DAZN in the US and Sky Sports in the UK, has extra spice added to it as promoter Eddie Hearn announced that the winner is likely to face WBO kingpin Demetrius Andrade in June. Rosado and Sulecki promised to be a war from the get-go when the fight was announced in January, but now the WBO International title will be on the line, and with that, a likely shot at Rhode Island star Andrade in the summer. 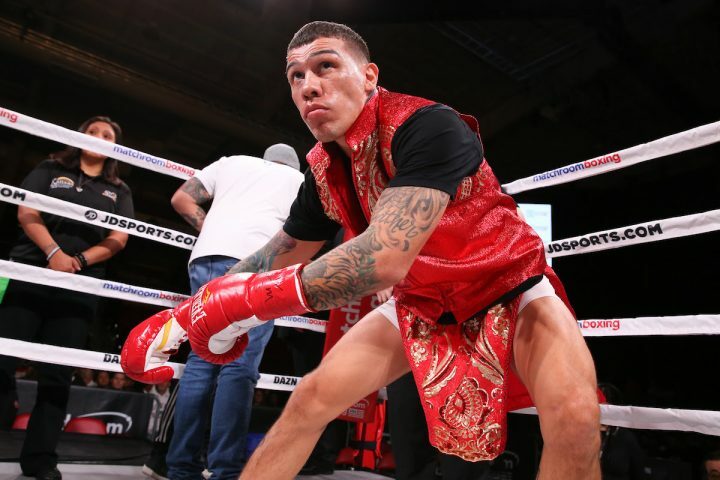 Rosado (24-11-1 14 KOs) is back in action following his closely fought draw with Luis Arias in Mulvane, Kansas in November – another contentious fight for the Philly favorite who will now be chasing a third World title shot in his first fight on home turf in seven years. Sulecki (27-1 11 KOs) is hunting a first World title shot having returned to winning ways in November with a second round stoppage of Jean Michel Hamilcaro in his native Poland. The 29 year old gave Daniel Jacobs a stern test in April before the Brooklyn man moved on to become a two-weight World ruler, and Sulecki will believe that experience will serve him against Rosado. WBO ruler Andrade defended his title live on DAZN in January against Artur Akavov at Madison Square Garden in New York, and the streaming giants rubber-stamped their status as the home of the elite Middleweights by adding Kazakh star Gennady Golovkin to the phenomenal roster of 160lbers, with Canelo Alvarez and Daniel Jacobs clashing in a unification blockbuster on DAZN on May 4 in Las Vegas. “I’m pretty sure that the winner of Saturday’s fight will be the next opponent for Demetrius in June,” said Hearn. “It’s a massive fight for Gabe and Maciej – we know that DAZN is the home of the Middleweights and these two have the opportunity on Friday to unlock the door to the big time. Rosado’s clash with Sulecki is part of a huge night of action in Philadelphia on St Patrick’s weekend topped by a World title double-header as Philly’s Tevin Farmer (28-4-1 6 KOs) comes home to defend his IBF Super-Featherweight title against Ireland’s Jono Carroll (16-0-1 3 KOs), and Irish sensation Katie Taylor (12-0 5 KOs) looks to unify the Lightweight division once again, putting her IBF and WBA straps on the line against Brazil’s WBO champion Rose Volante (14-0 8 KOs). Philly Lightweight’s Hank Lundy (29-7-1 14 KOs) and Avery Sparrow (9-1 3 KOs) battle for local pride, Olympic gold medal pair Luke Campbell MBE (19-2 15 KOs) and Daniyar Yeleussinov (5-0 3 KOs) and silver medalist John Joe Nevin (11-0 4 KOs) taste their first action of 2019, unbeaten Super-Middleweight D’Mitrius Ballard (19-0 12 KOs) faces Victor Fonseca (17-9-1 14 KOs) while exciting New Jersey amateur star Raymond Ford makes his pro debut.